Upgrade your classroom data tracking system with a book that helps monitor student progress in fourth grade language arts. 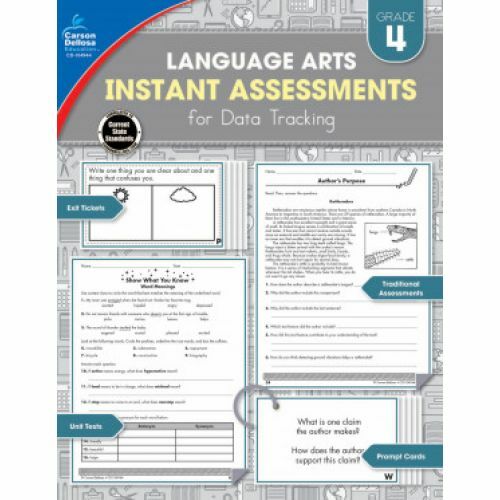 Tracking student growth in language arts will be easier and more organized than ever with Instant Assessments for Data Tracking. Designed to help you stay ahead, this series makes it easy for you to monitor and prove progress—one assessment at a time.